Whether it’s odors from pets, bathrooms, cooking, or one of many other common sources, odors are a big nuisance. Personally I can’t focus on work or relax if odors are distracting me. A high-quality air purifier can help. But how do you choose the best air purifier for odor elimination? In order to help you get the best for your money I’ve put together 5 great air purifier reviews and recommendations you’ll find below. There’s also a helpful buyer’s guide that explains air purifiers in detail, too. Read on to learn more! 2. What are odors? Where do bad smells come from? What are odors? Where do bad smells come from? Indoor odors originate from source materials, both organic and man-made, that are volatilized (released as a vapor) and disperse molecules into the air. Some occur naturally during evaporation. Other sources like food and dead animals occur during decomposition or chemical changes. In areas like bathrooms, kitchens, and basement which we all know often have strong or bad smells, air fresheners are sometimes used. These do help, but it’s important to understand that most don’t actually eliminate odor sources. Most simply mask it and you don’t notice the odor after it has been temporarily cleared for a while. Having downstairs neighbors cooking in the past was one of the worst for me! I learned the hard way how odors can rise through the floor and walls. It was very bothersome. People with pets also have to deal with odors as well. One of the strongest I’ve had to deal with was a cat’s litter box – I was amazed how strong the odor was! Dog odors are another bothersome problem, too. 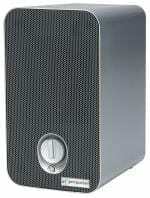 In every case I learned how helpful an air purifier is for eliminating odors. For good odor elimination, you’ll need to choose a quality air purifier that features an activated carbon (also called charcoal) filter. The best models sold today normally are sold as “3-in-1” purifiers. A HEPA filter eliminates finer microscopic particles. The pre-filter captures dust and larger elements. It’s normally attached to a carbon filter. Carbon is porous and processed to have absorption properties. 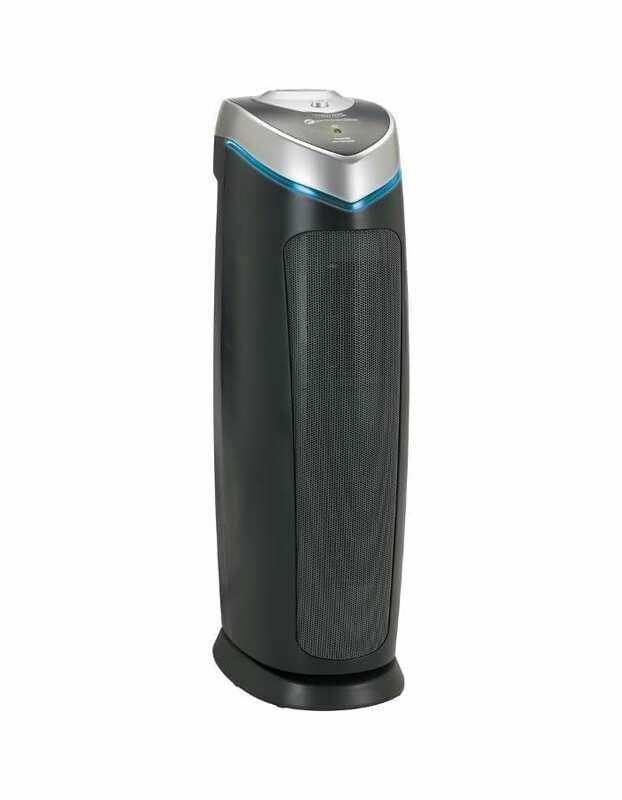 Shown: GermGuardian AC4825, one of the most popular purifiers today. You’ll want to avoid ozone generators and ionizers. While they do have some properties that can affect odors in the air, they don’t work the same as filter-based purifiers. 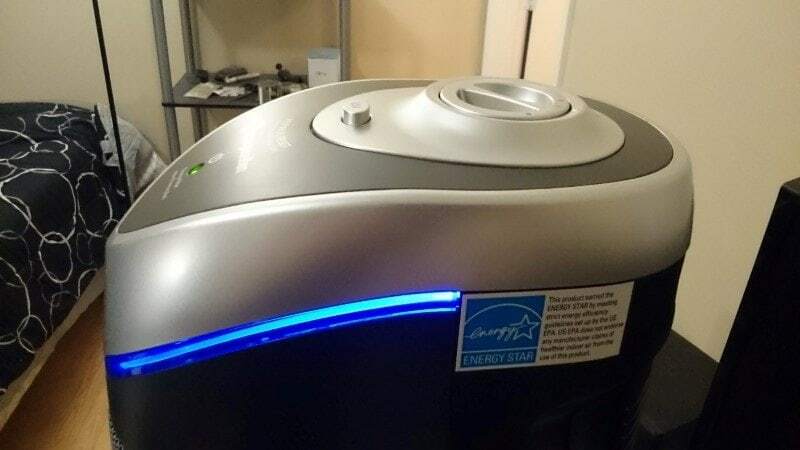 HEPA filters very effective for trapping airborne contaminants and especially the smallest air particles, dust mite matter, pet dander, and so on down to 0.3 microns in size (A micron is 1/1,000,000 of a meter!). They’re fantastic for allergy relief and other air quality issues but don’t really affect odors. A pre-filter is normally attached to the activated carbon filter section. It’s usually a thin, somewhat course material that traps larger matter like hair, dust, lint, and other larger particles. The activated carbon filter is the section an air purifier’s filter assembly that eliminates odors and traps them, leaving fresh air behind. 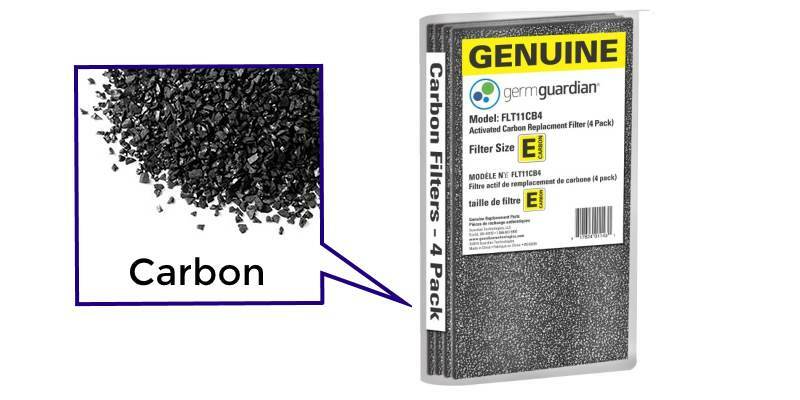 A carbon filter has carbon (charcoal) pieces that are processed to create porous surface and have properties for trapping odors and chemical vapors. I recommend purchasing a model that allows replacing only the carbon filter and/or pre-filter section like this example as they often need changing at a rate different from the HEPA filter. After some use a purifier’s filter will become used-up and clogged with foreign matter. The carbon filter, after being in use for sometime, will lose effectiveness as well. Most purifiers have about a 6 to 8 month filter lifespan for the HEPA filter. Some have a filter replacement feature to remind you when to check it. Some filters are replaceable as one complete unit – but at additional cost. For best effectiveness and to reduce maintenance costs, I recommend models with separate carbon filter sections you can replace independently. You can save a bit of money that way and extend the life of the main HEPA filter as quite often they don’t need replacing right away. After all, if you’re eliminating odors you’re not likely to completely saturate the HEPA section during the first use. For pet owners and allergy sufferers, however, that’s sometimes a different story. Best-selling and overall an excellent value! Easy to use and quiet. Electronic controls and super quiet operation! 1. GermGuardian AC4825 3-in-1: A super-popular model that offers a great value, too! 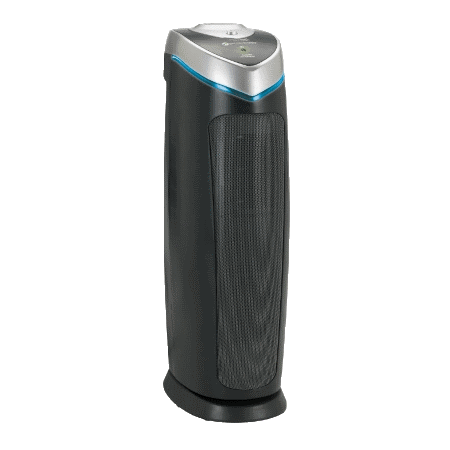 The AC4825 doesn’t try something it’s not – it’s simply a good basic air purifier that gets the job done and works well. It’s a winner because of hassle-free ease of use, great performance, and many happy buyers. I’m one of the happy owners myself! With a higher room size coverage rating than models like the Levoit LV-H132 it’s a good value as well. An ultraviolet (UV) germ killing feature provides safe and ozone-free elimination of germs and microbes where you live. It’s a nice extra feature to have – very few products offer this! The true HEPA filter design works very well to remove smoke and contaminates from your air. Filter replacement is easy and you can buy the carbon filter/pre-filter separately, allowing you to extend the HEPA filter life and get more odor relief while saving money. It’s in such demand that I even bought one to see what the fuss was about! I’m very happy with mine. You can read more about it in my detailed review here. A 3-speed fan control is makes use simple and hassle-free. When the push-button control is used to switch one the UV-C feature, the trim glows blue. Time to check or replace the filter? Just open the rear door and pull it out. The replacement reminder will turn red when it’s time to check the filter. At 22″ height, it’s not smaller and compact like several others. But the tower design helps it to fit well in corners. Replacement filters cost about $30 and last about 6 months. There is one very minor complaint I have: when the UV-C feature is switched on and you turn the fan power off, upon the next start-up the UV-C light is off again. There’s no memory feature to keep it the way you last left it. My AC4825 is definitely a good performer and I’ve been happy with it. Judging by how many others agree, you’re going to love it as well. It’s one of the best buys for your money. Head over now and see the thousands of happy buyer reviews and current sale price Amazon. UPDATE: Wow, there’s now a great-looking white version as well out now. 2. 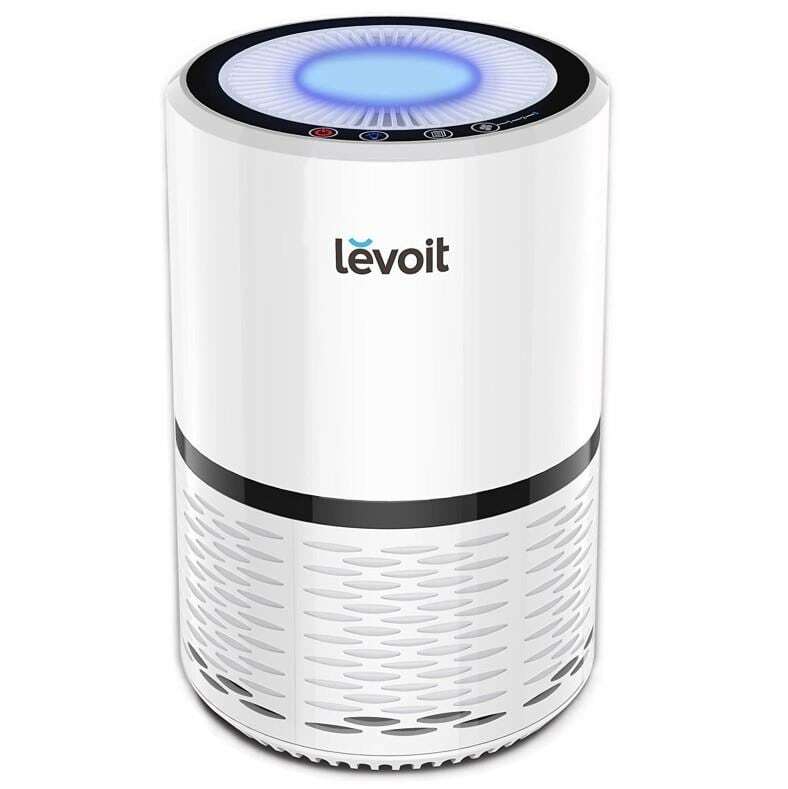 Levoit LV-H132 – A best-selling purifier with night light and other nice features. Super-low noise levels, too! 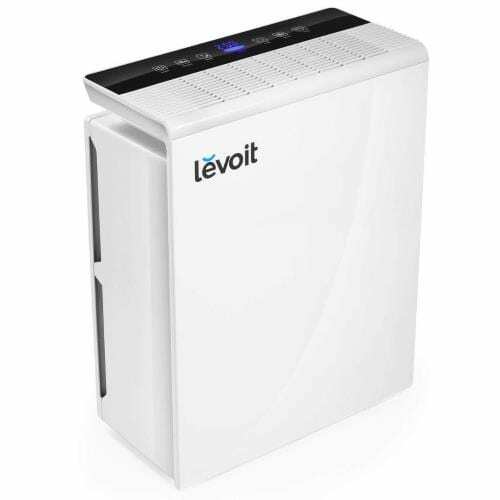 Another super-popular purifier, the Levoit LV-H132 (smaller sibling to the Levoit LV-PUR131) is a great buy. Got odor problems? It’s a good choice for nearly anyone with small to medium-sized rooms. Like its competitors, the true HEPA filter works well (along with the pre-filter and carbon filter) to eliminate air quality problems including bad smells. 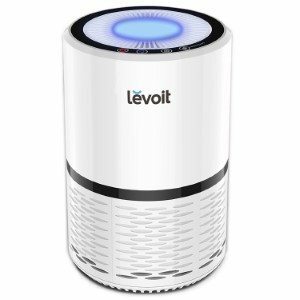 Although it provides less coverage (89 square feet) than competitors like the GermGuardian AC4825, the Levoit makes up for this by providing features others don’t. As well as being great looking choice, it compliments today’s interiors well. It’s one of the best-selling purifiers on the market today. The fan offers pleasant and quiet operation on low-speed. A built-in night light with 2 brightness settings is a bonus feature. Replacement filters cost near $30. The top cover removes easily for replacement and a filter replacement reminder lets you know when it’s time to check it or replace. 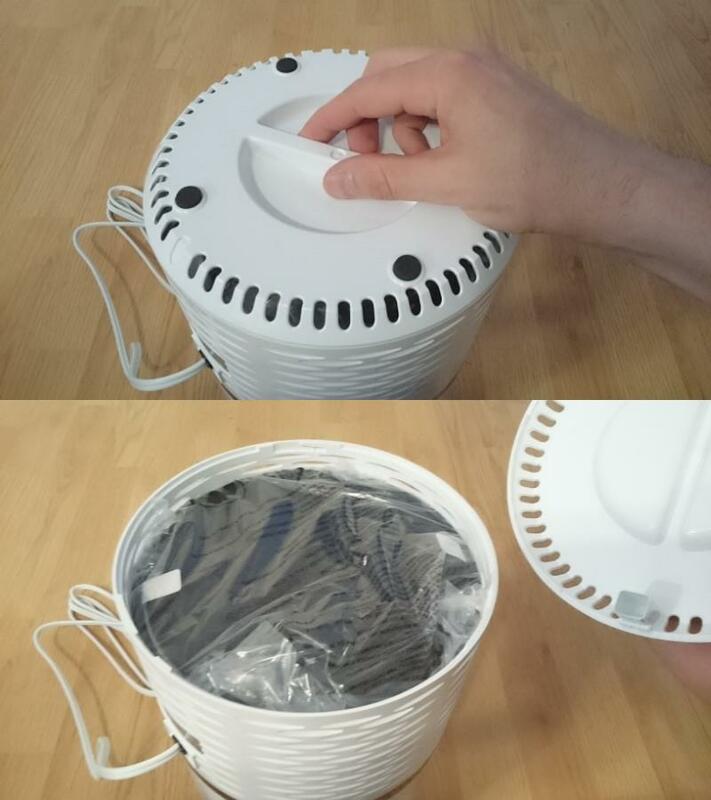 In my hands-on testing I found it to be one of the lowest-noise air purifiers sold today! When I say it’s low noise, I really mean it. It’s almost impossible to hear it run on the lowest settings – even high speed is very quiet, too. Buyer reviews are great. Check out the fantastic ratings and see why it's a fantastic seller that received the Amazon's Choice award. UPDATE: A new black version is now available here as well! 3. 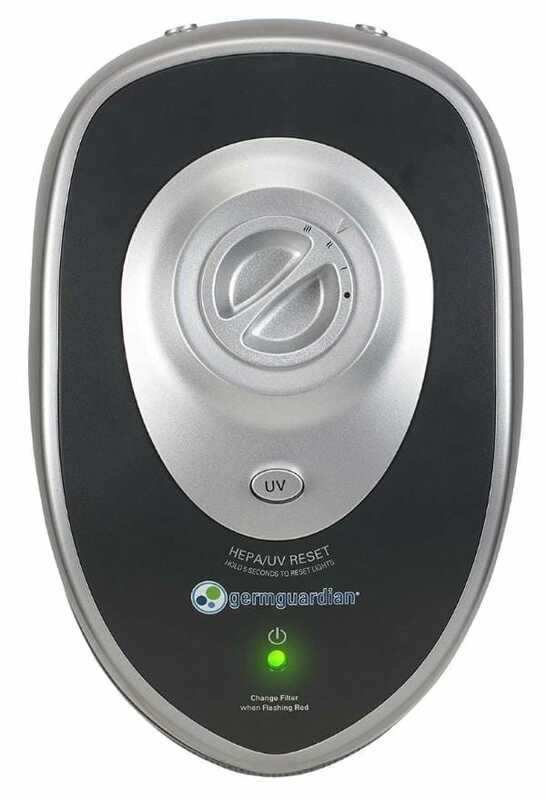 GermGuardian AC4100 3-in-1: The same quality odor removing ability and germ killing in a smaller size. A great lower-priced model, the AC4100 is a little brother to the larger AC4900CA but it features the same excellence I’ve come to know from GermGuardian. Like other in the company’s line of products, it’s a non-nonsense, easy-to-use model for nearly everyone. Measuring only 7.5 x 6.5 x 11″ in size, the 3-in-1 design (HEPA, pre-filter, carbon filter) works to remove odors, dust, allergens, and much more. Great for a small room like your bedroom, office, or dorm room. The AC4100 features the same 3-in-1 filtering design as its larger siblings. You’ll get a true HEPA filter, prefilter, and odor-absorbing section but for smaller rooms and on a budget. A UV light (with on/off control) works with titanium dioxide to neutralize germs. The result is healthier air and sickness-causing microbes are gone. Replacement filters cost about $18. There’s no automatic filter reminder. However, a filter installation date wheel on the rear to help you know when it’s time to replace it. Carbon filter replacements can be bought separately so if you’re dealing with odors you can restore used-up carbon filters for less money than replacing the entire 3-in-1 filter set. It’s really easy to use – just switch it on or off using the 3 speed rotary control. On full speed the noise level is moderate in my opinion. On low speed, it’s hardly noticeable and works well at bedtime. Unlike similar larger models such as the AC4825 and AC4900CA, the UV germ killing switch is an on/off type and not a push button. One thing I don’t like is that there’s no indicator light for the UV feature like the larger models. That’s a pretty small gripe, however. It’s a great small-room choice, although I wouldn’t recommend it for large rooms, as it’s not designed – or recommended – for those. It’s great for closets, dorm rooms, your office, or other similar areas. It’s one of the best in its price range at around $50 or less, depending on where you shop. 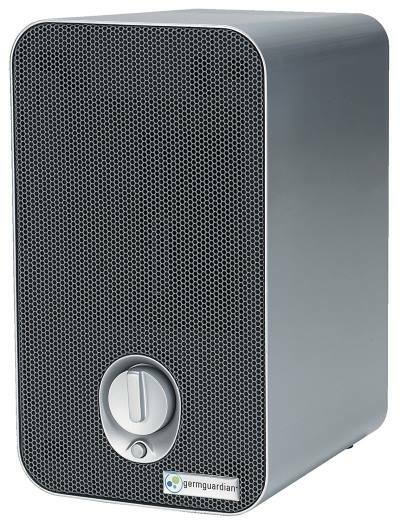 Speaking from personal experience I can see why GermGuardian is one of the biggest air purifier manufacturers today. I own an AC4100 and find it easy to use and well-made. For small rooms with odor problems, it’s a great low-cost choice. Have a look at the many satisfied owners that helped it become one of the highest small purifiers at Amazon. 4. Levoit LV-PUR131 – Great odor removal for medium-large rooms. Advanced features, too! Another best seller. Got a medium or slightly larger sized room? 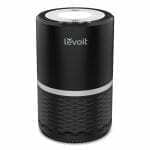 The LV-PU131 is a top seller and one of the sleekest, best-designed purifiers you’re going to find under $250. One of the best-selling points are the great features included for the price. Check out the great reviews – it’s an excellent addition to your home, office, or even workplace and great at removing smoke along with the other problems that come with it. The Levoit brand is well-known and they produce a number of home products. All are well-made and well-regarded. They’re also known for the great LV-H132 purifier I recommend as well. The electronic controls are simple to use. The clear LCD display operational status and the timer information to make using it a snap. The sleep mode feature means it works almost silently at night and doesn’t wake you up. The self-off timer lets you select from 1 to 12 hours of operation. What makes this Levoit model such a wonderful choice is not just the same 3-speed push button fan control. 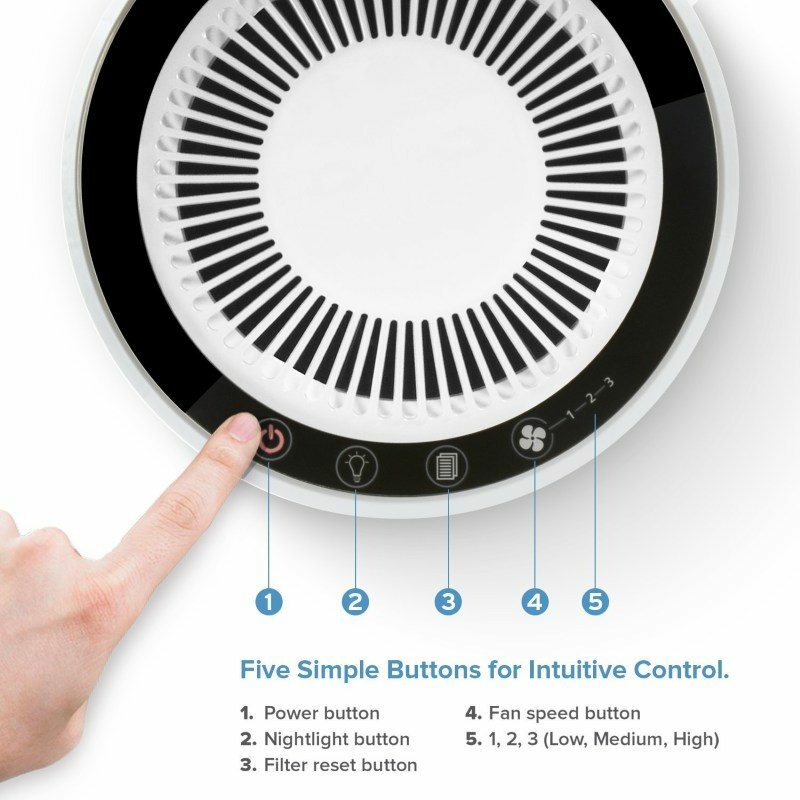 But the automatic auto-sensing mode which adjusts fan speed as needed as air conditions change. Really cool! At about 11.2 lbs in weight and 14.5 x 7.2 x 18.5 inches in size, the PUR131 provides more square feet coverage (322 square feet) than others but can fit in a few areas comparable products can’t. A 2 year warranty is provided. It’s a great compromise between cost, room size coverage, features, and performance. Head over now to see why it's one of the best selling and highest rated purifiers at Amazon. 5. 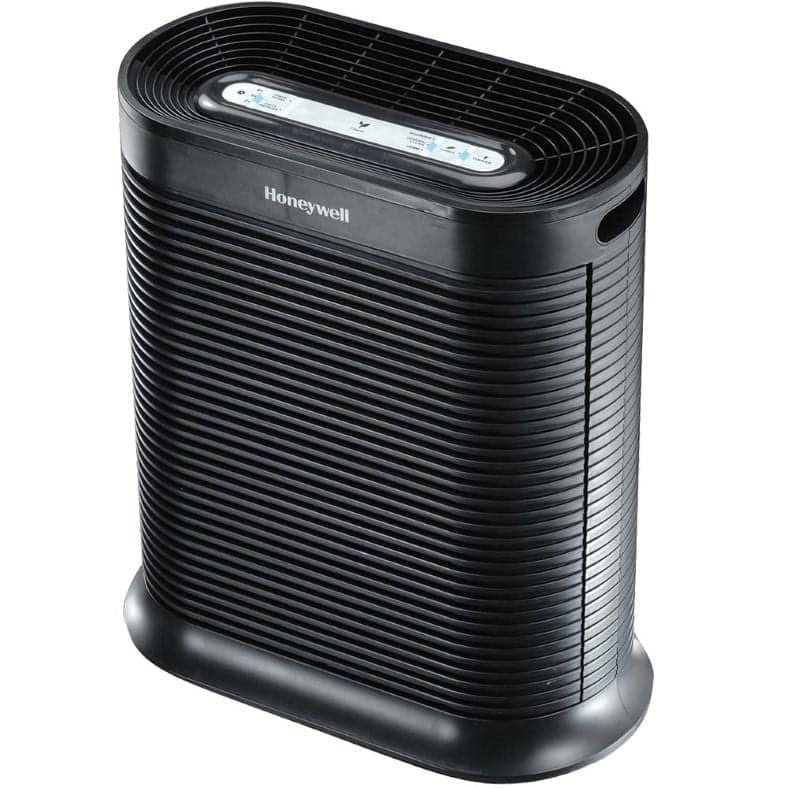 Honeywell HPA300 – Powerful odor removal for large rooms. A popular and reliable workhorse with nice features. Have a large room with bad smells? No need to look any further! The HPA300 provides some of the greatest room size coverage and odor elimination ability in its price range. It’s one of the best values as well. The HPA300 is a solid workhorse – a large and heavy unit, weighing about 21 lbs. The filters (carbon/pre-filter section, and separate true HEPA filter sections) are more complex but still simple to replace. Replacement filters are about $68 but you can replace carbon filters separately to keep costs down. 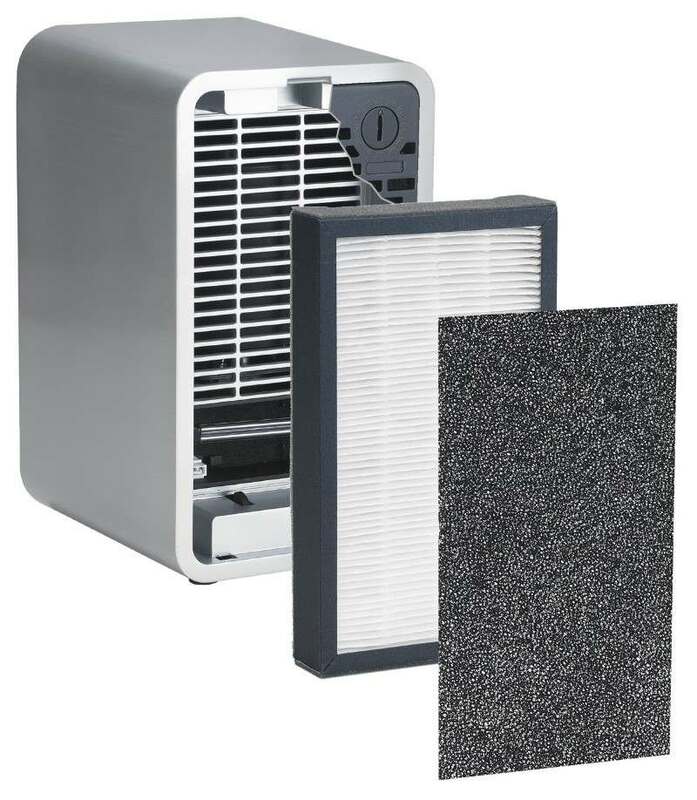 It’s not necessary to replace the HEPA filters when only the prefilter needs maintenance. Filter life averages about 3-5 months depending upon use. 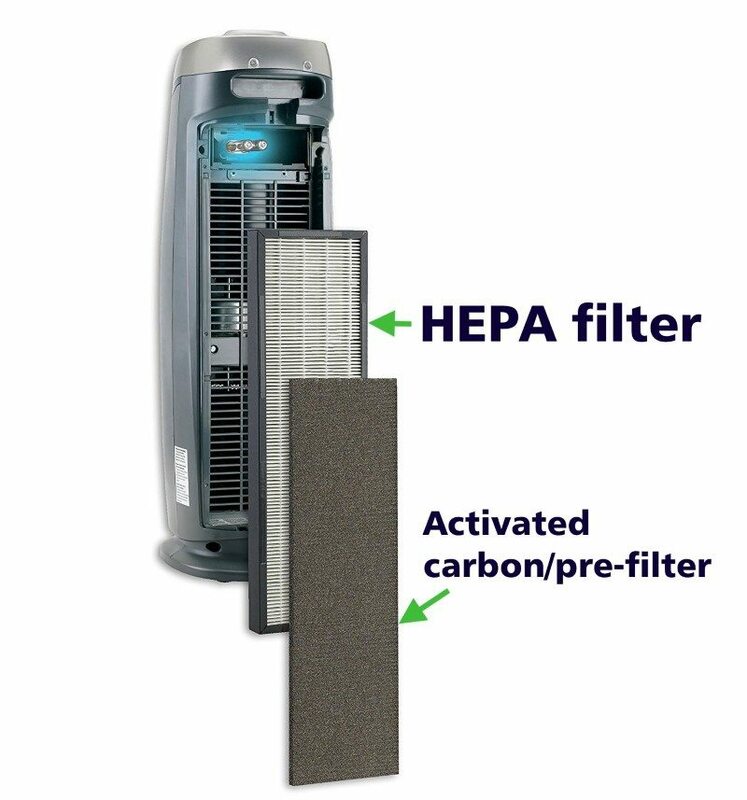 The HEPA filter can be extended if you’re swapping out carbon filters and the HEPA filter isn’t saturated. The purifier features excellent touch panel electronic controls. Just touch one of the controls to rotate easily through the settings like fan speed, the light dimmer, and to set the auto-off timer feature. Indicators give separate reminders for both the HEPA filter and the pre-filter/carbon filters. Turbo mode provides high-speed cleaning ability. On low, however, it’s quiet enough to not disturb your quiet time. 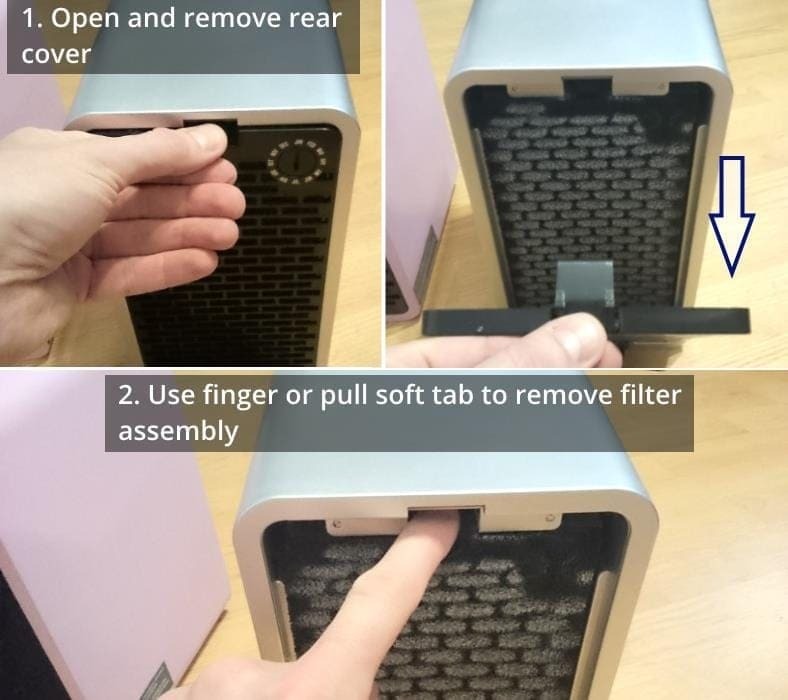 Filter replacement is very simple! The main cover uses 2 push-releases at the top to secure the cover. 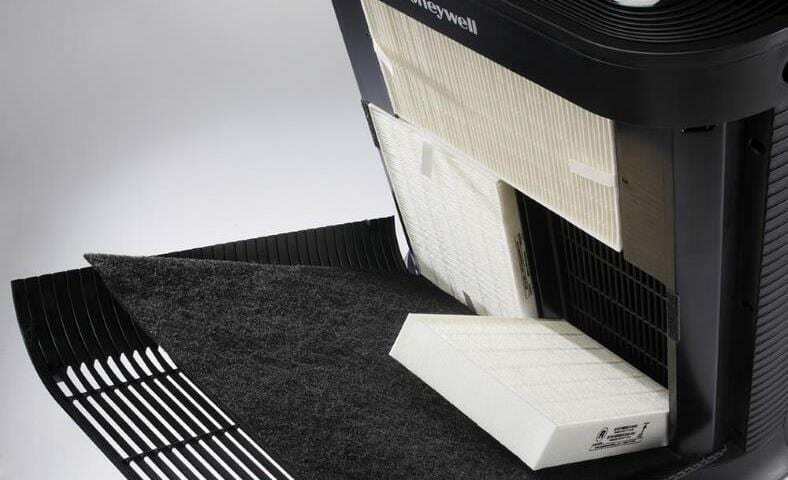 After removal the prefilter can be replaced or the 3 standard Honeywell HEPA filters as well. It’s easy to do, in my experience. What I especially like is that the filter replacement reminders are separate – one for the HEPA filter and one for the pre-filter. That’s a feature unique to the Honeywell design. I don’t care however for the limited auto-off time control being limited to 3 choices. 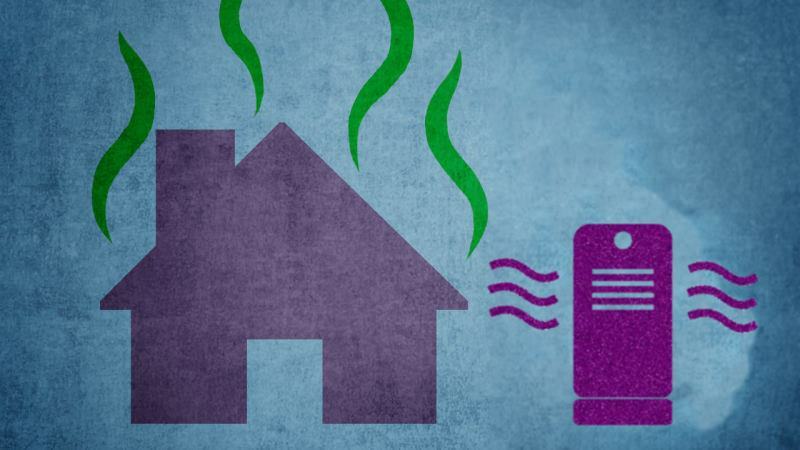 Want to get rid of odors in larger rooms? You can’t go wrong with the HPA300. 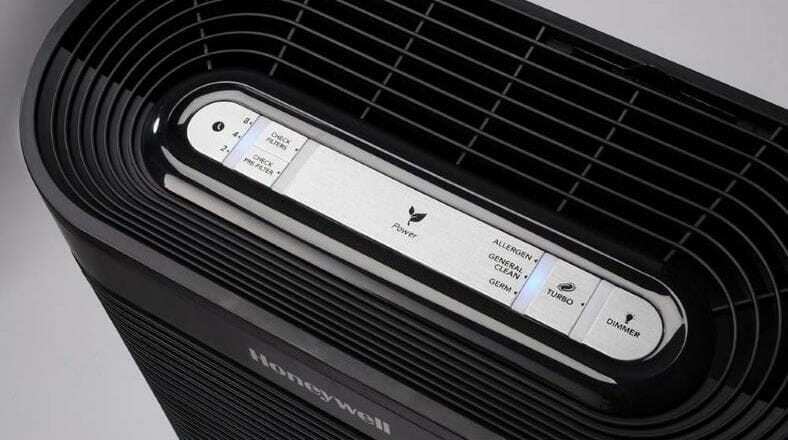 Many happy buyers back up my recommendation because it's one of the best large room air purifiers sold today. For even more effective odor control I recommend using other products along with your new purifier. 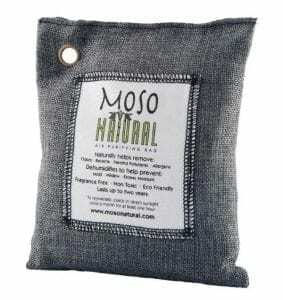 A great example is an odor-absorbing product like the Moso natural charcoal air purifying odor bag. Eliminating odors means not just masking it with air freshener – but by treating your air. 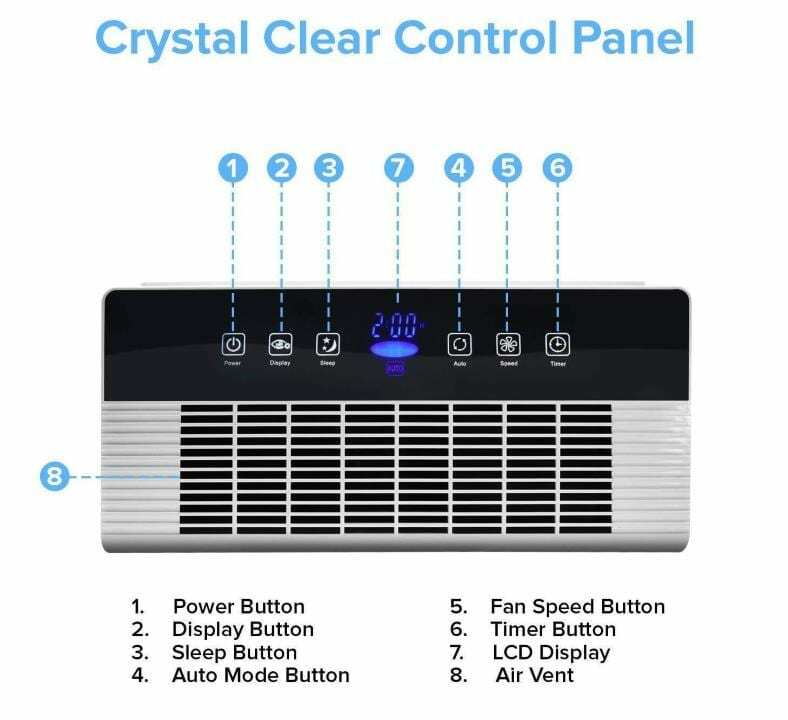 A quality air purifier like those I’ve recommend can remove and trap unpleasant airborne molecules and let you enjoy fresh air again. For even better odor control I recommend using a well-proven product like odor absorption bags such as the Moso natural charcoal odor eliminator. Unsure about how many air purifiers you’ll need? Click here to find out if you need a purifier in every room. As I’ve been really enjoying my own GermGuardian AC4825, I wrote a thorough review here to help others decide if it’s right for them as well.